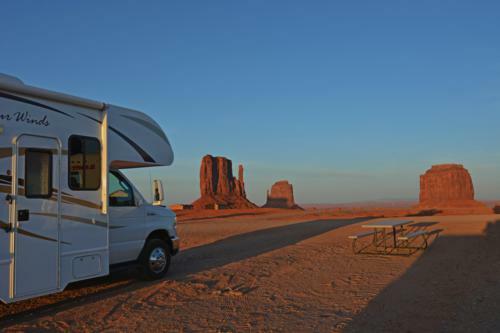 Our RV sites feature the best sunset views of Monument Valley. All sites are dry RV sites with no hookups. Call 435-727-5802 for assistance with your reservation.